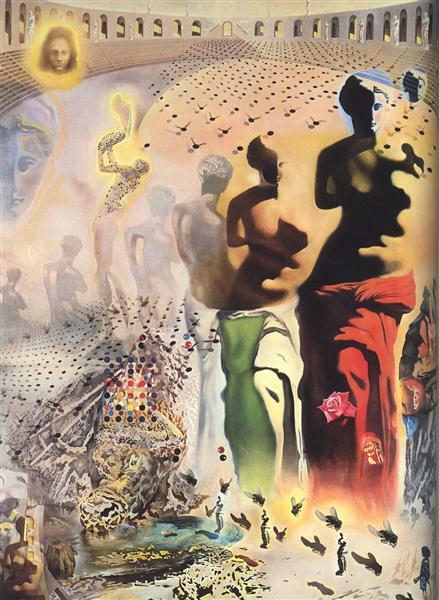 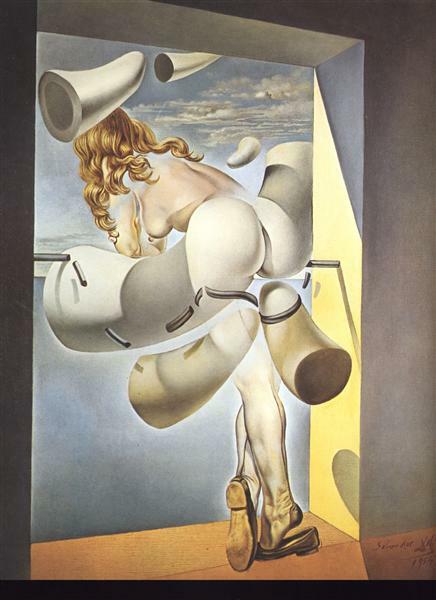 This painting documents Dali's interest in exaggerating the representation of the female form and the possibilities of an abstracted background. 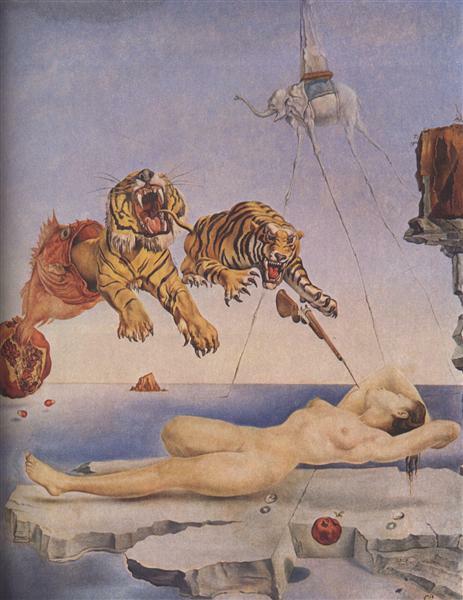 The main force within the painting is clearly its sexual allusion: the horned shapes hovering around the woman are overtly phallic, and the painting's title offers a direct clue about the aggressively sexual tone of the work. 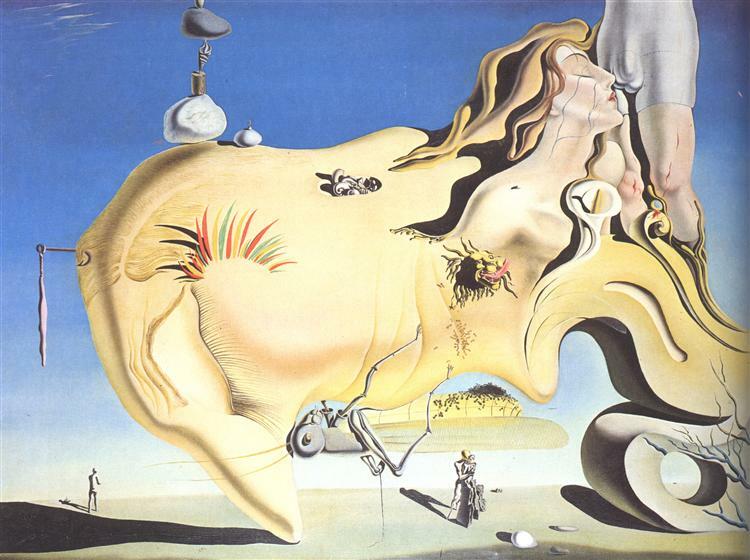 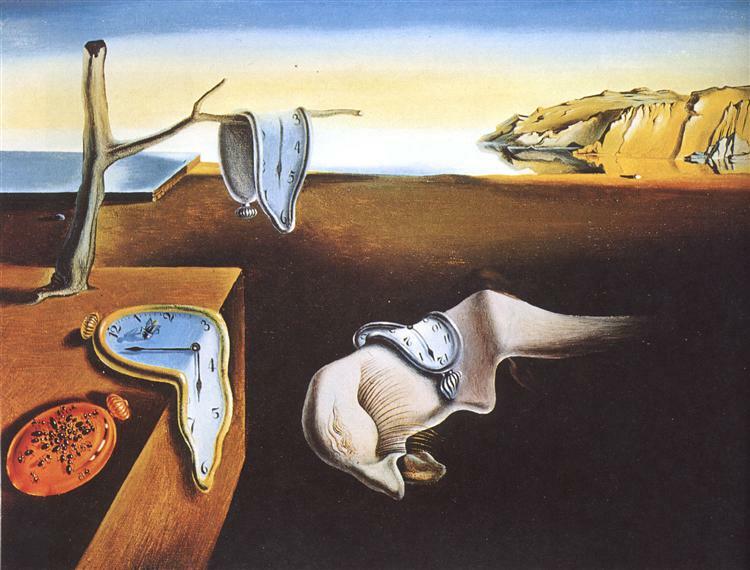 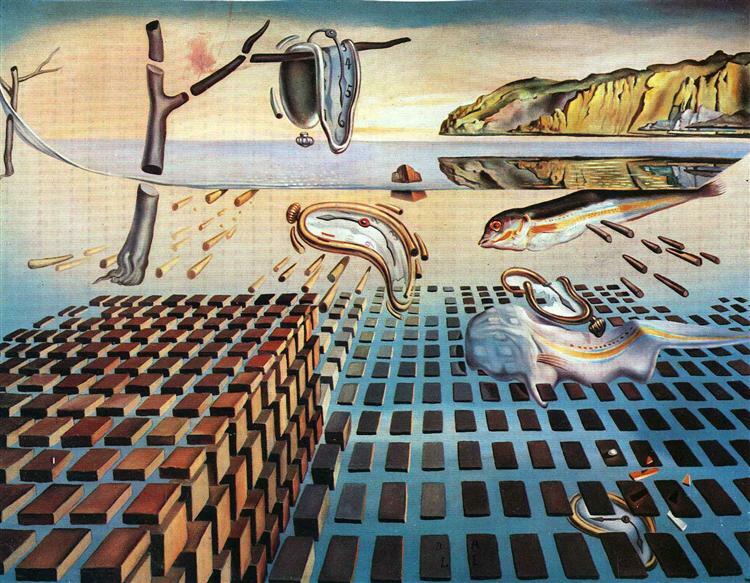 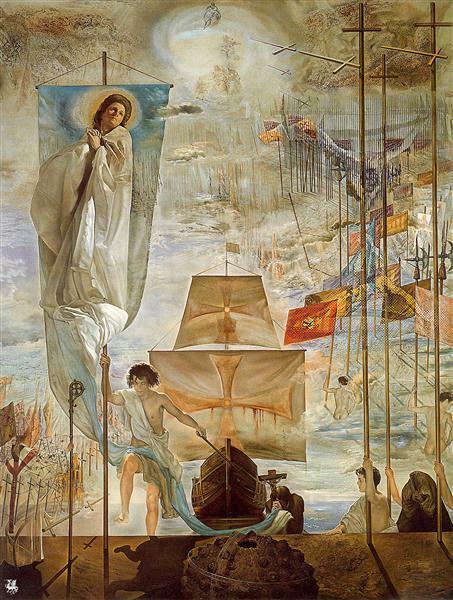 Dali's preoccupation with the phallus was a central theme throughout his career, though the degrees to which his works were representational or abstract differed period to period.